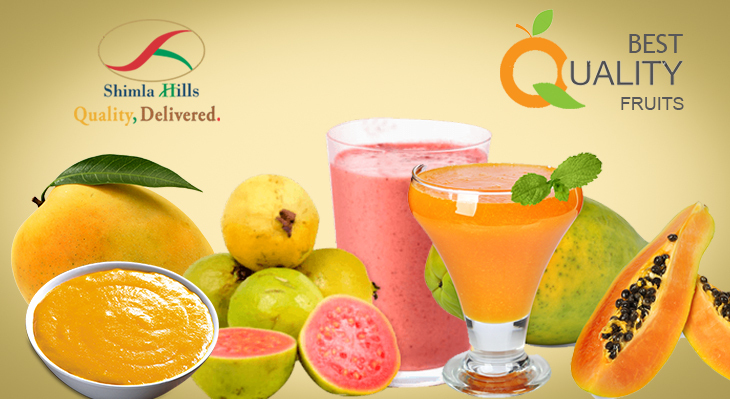 Utterly delicious in taste and nutritious health-wise, fruit pulp & puree have a huge demand in global markets. The food & beverages industry is witnessing a huge boost from these two processed forms of fruits. In this blog post, we will know what makes fruit pulp & puree so much sought-after in the current food & beverages industry. It has been observed that frozen fruit pulp bears a longer shelf life compared to fresh fruit. In frozen form, the pulp retains all the nutrition with it for long, provided it is maintained at the required chilling storage temperatures. The food & beverages industry is constantly looking for processed food products with enhanced shelf life. Fruit pulp allows a longer shelf life without modification to the natural flavour & texture. It bears almost the same nutritional properties like fresh fruit and adds enhanced flavour to the food preparation. The wide scale applications of fruit pulp and puree indeed make them indispensable for the current food & beverages industry. Pulp & puree are used in culinary preparations ranging from yoghurt, snacks, and juices to smoothies and bakery food. In few Asia Pacific countries, the demand for fruit pulp & puree is rising year after year. Alphonso mango pulp, white guava pulp, Totapuri mango pulp, Kesar mango pulp are some popular varieties demanded by food & beverages industry clients in these regions. The enhanced properties of fruit pulp positively influence the key decision makers in food & beverages industry. This has further prompted fruit pulp & puree producing companies to develop improved products for customers that not only meet their demands but also optimally satisfy them with the quality aspect. Be it about manufacturing tasty mango pulp, guava pulp, banana puree or some other processed fruit variant, global fruit pulp & puree manufacturers need to strive hard in future to present the finest quality to their customers.